Two massive proposed pipelines would transport fracked gas from West Virginia into Virginia, threatening rivers, creeks and wetlands in thousands of places, as well as national forests, drinking water sources, endangered wildlife, and local farms and communities. The unneeded pipelines would not only worsen climate change, but will also increase everyday energy bills, just to pad company profits. Add your voice now to help stop the Atlantic Coast and Mountain Valley Pipelines and save Virginia’s waters and communities from disaster. Dear Governor Ralph Northam: Please prioritize a science-based, comprehensive assessment of the environmental and economic impacts of the Atlantic Coast and Mountain Valley Pipelines, including review of individual water crossings. These two massive and unneeded pipelines would transport fracked gas from West Virginia into Virginia, threatening rivers, creeks, and wetlands in hundreds of places in Virginia, as well as national forests, drinking water sources, endangered wildlife, our climate, and local farms and environmental justice communities. 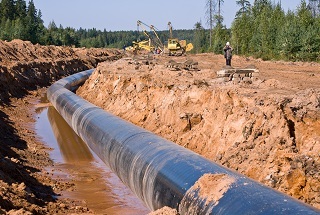 I’m particularly concerned about the pipelines’ impact on clean drinking water resources, vulnerable native trout streams, and sensitive wetlands, as well as the impact they might have on Virginia’s economy. Based on that review, I strongly urge you to oppose these fracked gas pipelines through Virginia. Thank you in advance for the hard work it will take to protect Virginians from the potential environmental and economic damage of the Atlantic Coast and Mountain Valley Pipelines. Thank you.